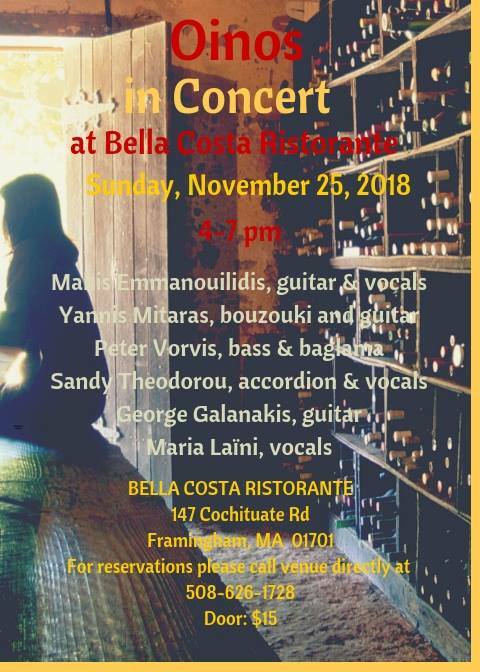 Join us on Sunday, November 25th, at Bella Costa Ristorante for an afternoon of live Greek Music! Bella Costa’s full delicious menu will be available during the show! Reservations are recommended as seating is limited. Please call Bella Costa directly at 508-626-1728.